Bread Making is a fascinating subject from time immemorial …. 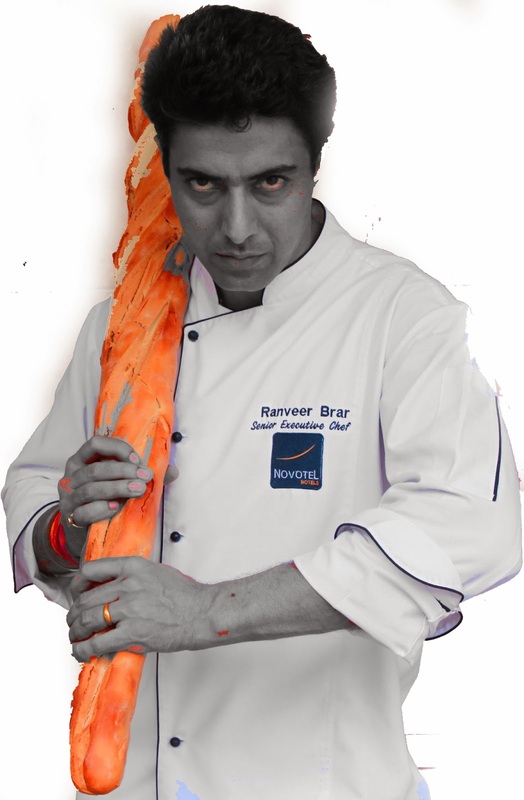 my real journey with bread is pretty recent till about a couple of years ago.. when I started working with a French hotel chain (Accor) and realized the intensity of love for the subject. Until then, I realized I was merely scratching the surface by just tasting different “flavored” breads like the focaccia and the corn bread and was missing the point to a very large extent. The point of flavor detail and intensity of taste that flour can bring through various treatments. Being a farmer's son I now have a deeper sense of appreciation for the unsurpassable beauty of flour and its strength to hold societies together. I am now absolutely in love with this phenom… there's so much to learn, so much to love, so much to live, that one can spend a lifetime working towards his vision of a perfect baguette!!! 1. Starter - a simple batter that is “Trained “ to aerate over a period of few weeks , every time it rises , peaks and collapses it matures in flavor , only for the most part to be thrown away and 20% carried forward and “Fed” with fresh flour and water , this process creates an unbeatable lactic and fruity flavor. 2. Leaven - made with all but 01 table spoon of the starter to 200 gms flour , this is what we will taste in the bread, this has the essence of a lot of time , patience and discipline that we will eventually taste in the flour. 3. Bulk fermentation - the second last rise of the yeast that has been well fed for weeks and that has now spread well in flavor detail to feed us well .. some chefs allow upto 12 hours for bulk fermentation creating a deeper acidic flavor profile. That’s all I got, but the next time you are eating a bread that is memorable , remember the humble starter that is old, mature and so full of character that a miniscule part has given you food memories forever. I like the way you express and your choice of words !!! !